I've had a dark, teensy-bit-scary realisation, you guys: I don't own nearly enough feline-embellished clothing. I know. Bad situation. Sooo, if anyone's feeling particularly generous - a dashing tycoon or a bored mogul, perhaps, looking for something to do with their wednesday evening - these Charlotte Olympia beauties are my favourite things in the world right now. Ta? What's catching your eye and refusing to let go at the moment? 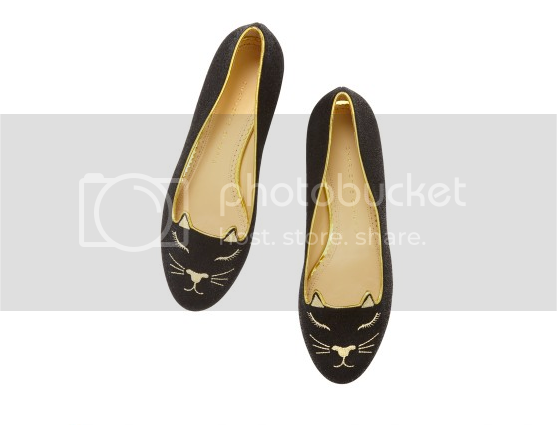 Love the flat with the cat print its a great selection. beautiful *_*your blog is very lovely and interesting. im glad if you visit my blog, too <3 keep in touch! Love these!! Didn't know there's also a Kitty boot, will definately offer these to my customer! Great update! I'm looking forward for more feedback regarding my blog in the future. 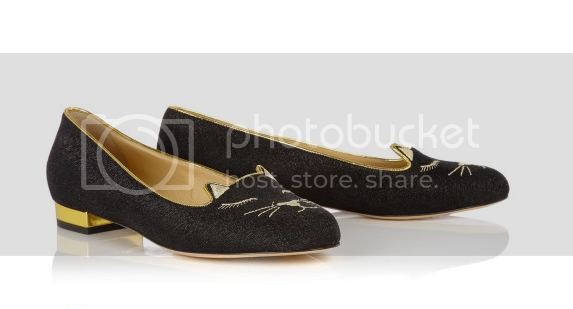 So cute, I love Charlotte Olympia! Those are too cute! Love the first ones. 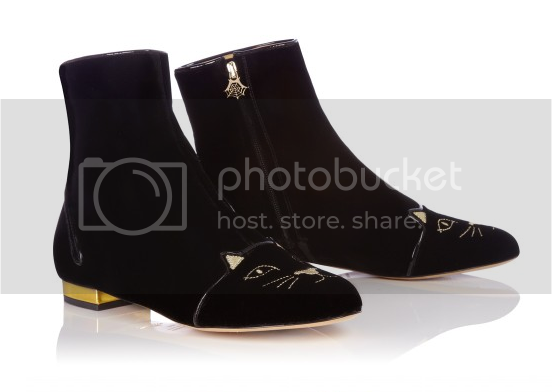 Really love Charlotte Olympia and this collection is fantastic! I love the flats! Super cute, but man, that price tag. I remember being obsessed with the Zodiac loafers. I'd check out Marc Jacobs though for something cheaper. Last year I think they had mice flats, rather than cats. ah, i have never seen those little boots before! i adore those! Those flats are so amazing. LOVE!